Indie Retro News: Dead Space - ZX Spectrum release inspired by modern horror game! 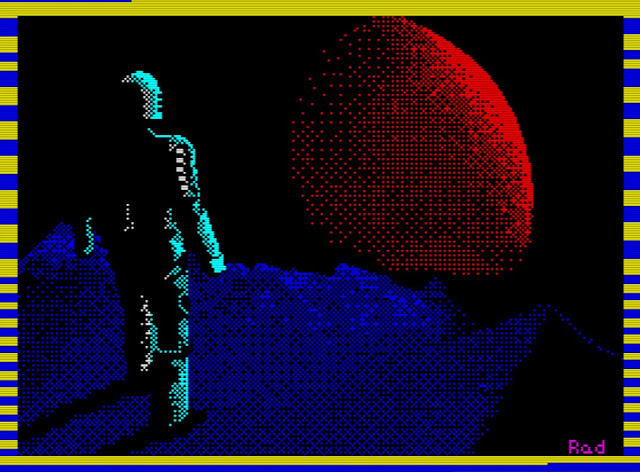 Dead Space - ZX Spectrum release inspired by modern horror game! Thankfully the Easter holidays are over and we can get back into retro gaming news, as we've been informed by Preston of QAOPM, of a brand new ZX Spectrum game called ' Dead Space ' that was recently released for the 48K Speccy and developed by Radastan. Taking its inspirations from the modern horror game of the same name, this latest release puts you on a rescue mission to save 11 survivors trapped and surrounded by an infected grew on the Omega-Six scientific station after an experiment has gone badly wrong. In Dead Space you'll be traversing in a top down view point through tight corridors, while avoiding deadly infected humans and electric traps that have appeared after the experiment went dangerously wrong. You must get passed all this and rescue the survivors, before they too become one of the infected, or you lose one of your many health packs and suffer a fate worse than death itself. If this sounds like your sort of game, give it a try as not only is it free, it's a nice game overall with decent retro graphics and challenges, It's just a shame the enemies are a little too easy to avoid!